Seventeenth century English poet John Donne might never have written his poem “No Man is an Island” (“Every man is a piece of the continent, a part of the main”) if he met Llewyn Davis. 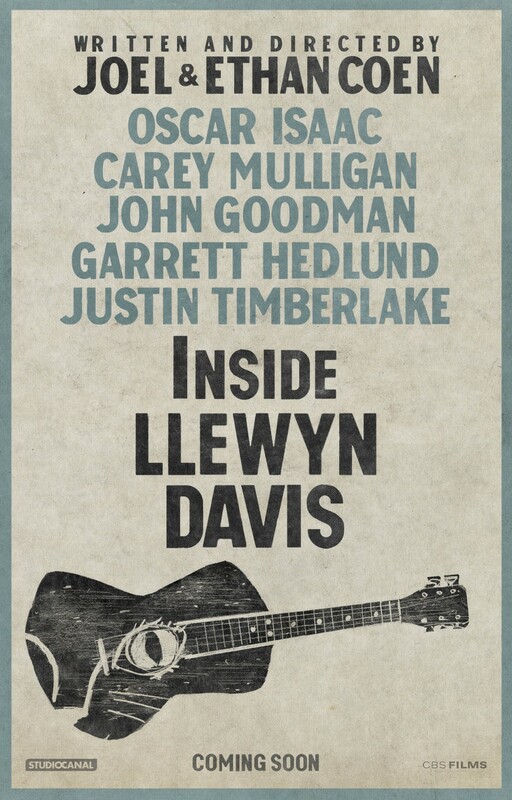 The withdrawn fictional title character, loosely based on 1960s American folk singer Dave Van Ronk, is at the center of Academy Award-winning filmmakers Joel and Ethan Coen’s new drama-comedy “Inside Llewyn Davis.” The film follows Llewyn, a talented but struggling folk singer in Greenwich Village, as he tries to make a name for himself as a solo musician. Tapped to portray Llewyn is Guatemalan/Cuban actor Oscar Isaac, 33, whose past credits include Ridley Scott’s “Robin Hood,” Madonna’s “W.E.” and Nicolas Winding Refn’s “Drive.” During our interview, Isaac, who graduated from the Julliard School in 2005, talked about Llewyn’s reclusive personality and shared a story about a chance encounter he had with a movie extra that ultimately helped him land the role. Describe what it’s like getting the call letting you know you’ve just been cast in the lead role of a Coen brother’s film. It was opening night of a play I was doing, and Joel called me himself, and we talked for a while. Then he told me I was going to be in the movie. It was incredibly surreal. The Coens said in an interview they initially wanted to cast a singer who could act before they changed their minds and started looking for an actor who could sing. Did you ever think you were at a disadvantage because you were an actor first, or were you confident you could carry a tune long enough to get some attention? I was confident I could carry a tune. I just didn’t know exactly what they were going to want. I had been playing music for 20 years, but I was still nervous. I had heard [the Coens] were auditioning people that had dedicated their whole life to music. They auditioned some really great musicians, so that was definitely a factor. At the same time, I knew they needed someone who could carry a whole film and really create a character as well. What were the conversations like with Joel and Ethan about the makeup of Llewyn? I mean, he’s the protagonist of the film, so was it important for the audience to like him? Did you find that challenging because there is also this sarcastic side to him? We never really talked about making [Llewyn] a likable character. I don’t really think they cared about it that much. I don’t think they think about it in those terms. I think they were just trying to make a story that was interesting. We just talked about Llewyn in terms of what is happening in his life and the fact that he is an island. He’s shut off from people and is not connecting. The only way he connects is when he plays his music. You get to perform with some well-known names in the music industry for this film —including T-Bone Burnett, Marcus Mumford and Justin Timberlake. Can you give me an example of a time on set when you might’ve felt a little intimidated? I never really felt intimidated. I thought I really understood the music. T-Bone was there helping me the entire time. When it came time for me to play with Justin and Marcus, they were both so kind and helpful and excited to be there. We all felt like peers. Your character is loosely based on 1960s folk musician Dave Van Ronk. How much of his music and the information on this man did you search out to understand who he was? You know, before I auditioned I was doing this small film in Long Island and in between takes I saw this guy, Erik Frandsen, who was playing an extra at the bar, and he picked up this guitar that was lying around and started playing. He started playing the exact style of music I was trying to learn [for the Inside Llewyn Davis audition]. I went over to him and said, “Oh my gosh, man, you’re amazing! I’m auditioning for this movie that’s loosely based on Dave Van Ronk. Have you ever heard of him?” He tells me, “Yes, I’ve played with Dave.” To my surprise, the next thing he asked was, “Do you want some guitar lessons?” So, I started going over to his place, and he taught me how to play in the style and played me all these old records. He was still playing in cafés all over Greenwich Village, so I would go and open for him in all these little coffee shops. We talked a lot. He’s one of these guys, like Llewyn, who put in the time and has been a musician his whole life, but major, commercial success has eluded him. Is that what happened to you early in your career as a musician? Did you just find yourself always on the outside looking in? Yeah, I was in a lot of different bands, but I was doing it for fun. I never thought about it like it was “do or die” or that I was doing it to survive. It was very different from Llewyn’s story. After high school, I had a punk/ska band, and we were doing very well, but it wasn’t as exciting as acting was at the time. Then I got accepted into Julliard, so I left the band behind and started to pursue acting. Do you think a film like this can generate interest in the folk music scene of the 60s? Is that something you’d like to see happen? Definitely. I think this music points us back to America’s roots. It’s meaningful and beautiful music. I hope people who like the music and are curious about it will go out and find more of it. There are some really funny moments in the film, but I thought it was more heartbreaking than anything. I mean, Llewyn is very talented, but it’s almost like his timing to do something with that talent is just a little off. Yeah, Llewyn’s story is about chance and how luck plays such an important role in what happens in peoples’ lives. People can put a lot of hard work and have a lot of talent, but a lot of things have to go your way to be successful without having to compromise. I actually think that’s what’s most interesting about the movie.